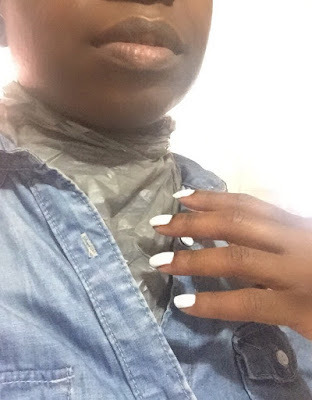 Why Sheet Masks are my new favorite beauty secret. About a year and a half ago, a friend of mine, who just returned from China, reached into her bag and handed me several varieties of sheet masks. Since they were purchased overseas, the instructions were in Chinese. I accepted them gracefully and and placed them in a pile of stuff to use later. Over a year past and, during a decluttering session, I stumbled across the small stack of serum soaked masks and decided to finally give one a try. My interest was peaked after learning about the Korean Skin Care Routine. 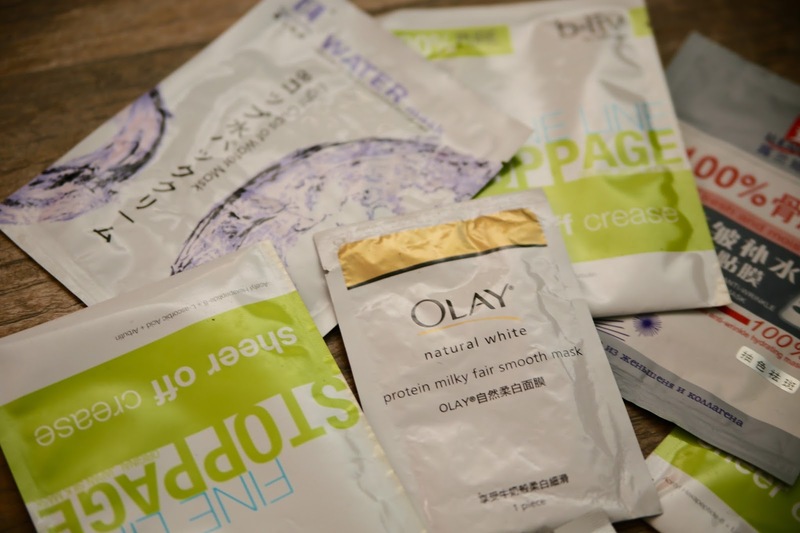 One of the steps of the lengthy process is layering on a sheet mask to boost moisture. Since I didn't know where the masks were located, I opted to go without. Just last week, I decided to once again, begin a retin-A routine. Each time I experiment with retin-A, I stop shortly thereafter because of the dreaded peeling that occurs as skin cells turnover. I never endure the peeling long enough to reap the wonderful rewards. This morning I woke up with dry, peeling skin after using retin-A just a couple of days before. Instead of feeling defeated, I smiled to myself silently and reached for a sheet mask. After looking at my options, I chose the one that said "8 cups of water" on the packaging. What could be better than that? The instructions are simple. Just apply the serum laden mask on your face and allow to sit for 15-20 minutes while you take care of housework. Nearly half an hour later, I removed the mask which was still saturated with product. I couldn't bear to throw the product filled mask away so I came up with a brilliant idea. I put the damp sheet mask on my neck then placed a plastic Walmart bag over the mask to keep it in place. My neck has prominent horizontal lines and I'm crossing my fingers that a sheet mask treatment can help fill them out. While my neck was being treated, I observed my face. My skin was totally different once I removed the mask. Hydration levels skyrocketed. The serum seemed to have seeped into the deeper layers of my skin. Kinda reminded me of the time when I first experienced a Hydra Facial. Immediately, I had the idea of leveraging these facial masks right after exfoliation to allow the collagen rich serum to permeate the freshly emerged skin cells. Now, I have zero doubt that I can withstand the dreaded early stages of using retin-A with these wonder-masks at my disposal. 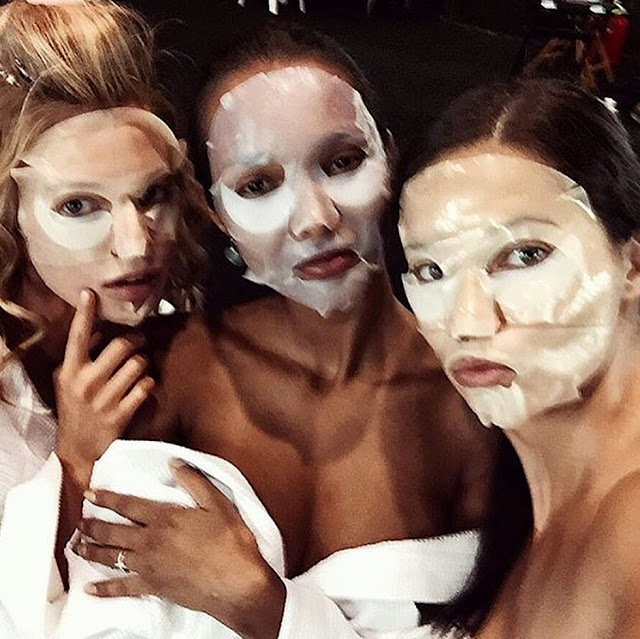 It's no wonder that a myriad of celebrities have posted their own sheet mask wearing selfies. Some call these sheet masks "the lazy man's facial" for their ability to impact the skin with pretty much zero effort. Since most facial masks focus on moisture and plumping the skin, this is a perfect time for us to jump on the bandwagon. The air is getting dryer everyday and we want to do whatever we can to stay moist and hydrated. I invite you to experience with these masks, especially if your skin could use a little additional moisture. Or if traditional clay masks are a bit too drying. You absolutely need these if you'll have to endure cold, dry winter air. Don't get it twisted, these masks can do more than just moisturize. In fact some of them even have enzymes to exfoliate and brighten. They're a perfect way to finish off an at home facial or, you can do like the celebrities, and slap on a mask before a special event. Looking forward to incorporate these masks into my weekly regimen. First, I'll use the ones my friend gave me, then I'll go on a massive hunt for the most potent and most effective sheet masks on the market! And when I find 'em, I'll let you know. If you have any recommendations, be sure to share. I've always avoided sheet masks but after reading this, i'm definitely going to give it a try. I'll pick one up the next time i'm out shopping. Do you have any suggestions on products that can be used to smooth/fade out the dark patch that men get on their chin/neck after shaving? I'm starting to get the dark patch and slight bumps on the side of my face and my chin. I react to any form of wax so i've had to rely on tweezing my facial hair. I've considered microdermabrasion but i'm not sure if it's the right thing to use. I've been to the spas here in Australia but it seems like they are not used to treating black skin imo. Stephanie, can you send me an email via my contact form? I think the price is ridiculous, but I love the SKII sheet mask. I wouldnt call it life changing, but the difference is very evident. I hope you get to try one. Have you ever tried essential oils on your skin?? I hear frankincense oil is supposed to be amazing for getting rid of scars and wrinkles. I just started using it...hope it works. Will look into the sheet mask. This is a good idea to use as I'm doing a glycolic and retin-a treatment. I'm not using it as often as I should due to the dreaded peeling. But if I incorporate the a moisturizing mask it may make it bearable.